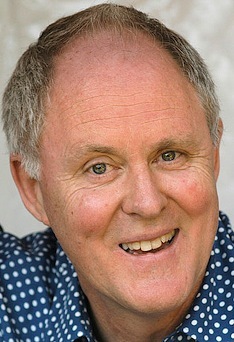 Showtime's fourth season premiere of Dexter, on Sept. 27th, will welcome John Lithgow as Miami's newest serial killer. He'll co-star in all 12 episodes as seemingly mild-mannered suburbanite Walter Simmons, dubbed the "Trinity Killer" for his proclivity to slay in threes. Keith Carradine also will be reprising his role as FBI special agent Frank Lundy. And of course Michael C. Hall again will head the cast as title character Dexter Morgan. ***Kris Allen's upset win over Adam Lambert on the Season 8 finale of American Idol can be seen as the equivalent of Crash being named Best Picture of 2005 over prohibitive favorite Brokeback Mountain. In other words, some feel that the presumed gay Lambert fell victim to a last-ditch vote in favor of the cuddly, married Allen. 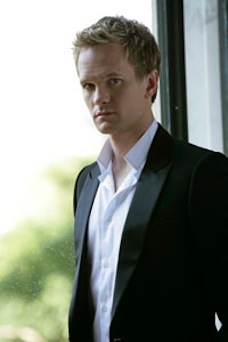 On the other hand, openly gay Neil Patrick Harris is hotter than ever after coming out in late 2006. He continues to play heterosexual horndog Barney Stinson on CBS' How I Met Your Mother. And on June 7th he'll host the 63rd Tony Awards after recently hosting the TV Land Awards and Saturday Night Live. Harris also stars in Dr. Horrible's Sing-Along Blog, which has had a gazillion or so views since hitting the Web last year. ***NBC fittingly has named two more relative nobodies to host I'm A Celebrity . . . Get Me Out of Here!, which premieres June 1st. Your guides are Damien Fahey, who used to preside over MTV's canceled Total Request Live, and Myleene Klass, dubbed "Queen of the Jungle" after participating in the United Kingdom's 2006 version of the show. "Celebrities" announced for the NBC version include Sanjaya Malakar, Janice Dickinson, Stephen Baldwin, Torrie Wilson, John Salley, Heidi Montag, Spencer Pratt and Lou (Oh how far you have fallen) Diamond Phillips. Patti Blagoevich, wife of defrocked Illinois governor Rod Blagoevich, also apparently will be in this mix after a judge said hubby couldn't travel to the jungle where NBC is setting up shop.